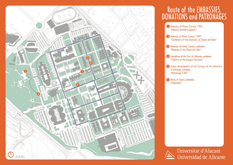 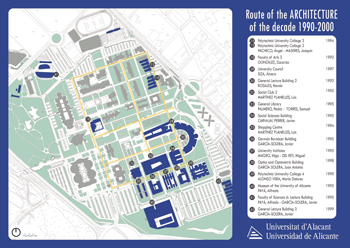 The spaces outside of the Campus of San Vicente of the University of Alicante have a large number of sculptures, homages to figures of the University and outside it, and milestones of embassies, donations and patronages, deserving its starting value and visit through the following paths. 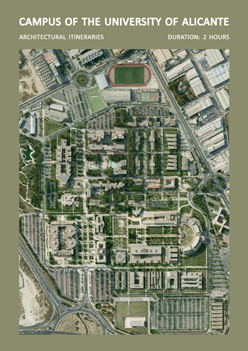 Constructed buildings of the University of Alicante that form the Campus of San Vicente del Raspeig, with the reuse of the pavilions of the former aerodrome in 1930-40s, going through the first constructions of 1980, the extension of the southern part of the University between 1990 and 2000, as well as the latest small infrastructures and equipment scattered throughout its territorythey complete the four chronological routes by the architecture of the Campus. 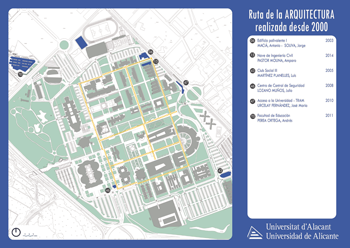 In addition, arises a fifth route that forms a route by the architecture of the University of Alicante from a professional perspective. 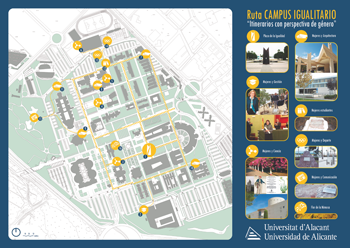 Also included in the "route CAMPUS EGALITARIAN", promoted by the equality unit of the University of Alicante, the work of women in the field of University management, science, architecture, sport, education, and communication. 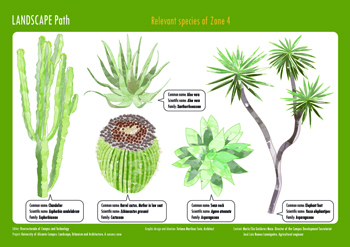 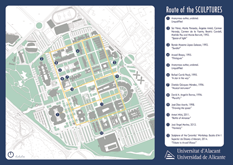 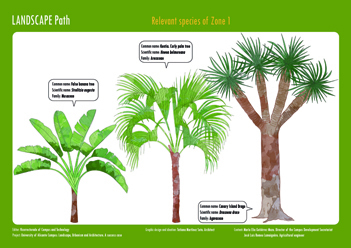 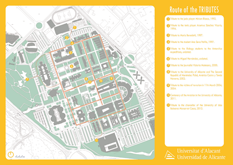 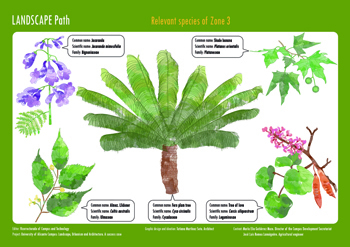 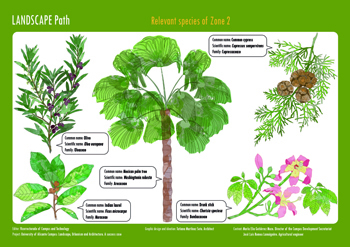 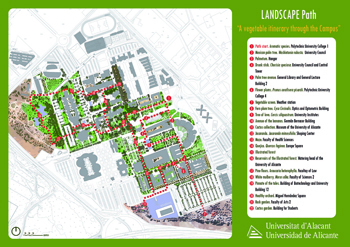 Landscape Path: "A vegetable itinerary through the Campus"